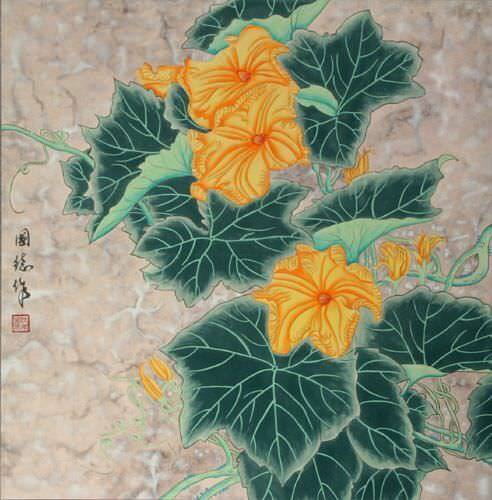 Artwork Panel: 42.5cm x 143.6cm ≈ 16¾" x 56½"
Silk/Brocade: 52.5cm x 201.5cm ≈ 20¾" x 79¼"
This wall scroll is discounted because of a minor mark in painting and a couple of minor wrinkles. This is 花開富貴 (hua kai fu gui) which means "flowers open, riches and honor." This is a common phrase or wish in Chinese that suggests the arrival of success. Some will also translate this as "blossoming success."